Once upon a time… Joanna Radcliff has always dreamed of the day when she'd become a governess and finally be part of a proper family. Except, instead of a warm welcome, she's given a frosty reception by her employers—and her charges! The only person who pays her any attention is the dashing Major Preston… Despite their stolen conversations and tantalizing glances in the ballroom, Luke and Joanna know that their stations in life are just too different. 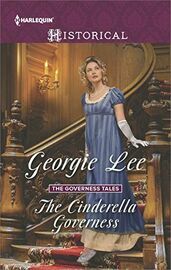 But when this Cinderella governess's life is transformed and their roles are reversed, will they risk everything to be together?